At Solent Events we are trying to be ahead of the curve, and are constantly looking for new ways to make our operation more sustainable. We use proper reusable china mugs on all our events, and ensure our venues and suppliers do not unnecessarily use disposable cutlery or crockery. Our office is increasingly becoming paperless, and what paper is used is recycled. We carry our own reusable coffee cups when out and about and supply re-usable water bottles to staff where possible. 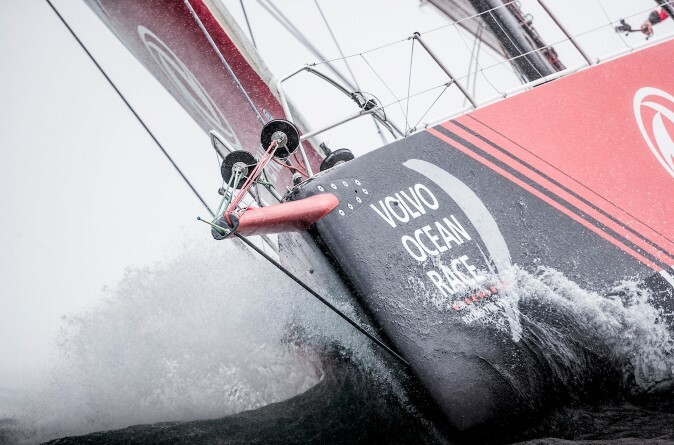 Inspiration for these necessary changes came from Turn the Tide on Plastic, the 50-50 male-female team of young international sailors led by Britain’s Dee Caffari, in the 2018 Volvo Ocean Race who are promoting the United Nations’ ‘Clean Seas’ campaign. Since we started to realise the urgency of necessary change, we’ve been scratching our heads in the SE office trying to work out how to run our events without plastic drinking bottles – not easy when you’ve got 10 people on a yacht exercising in the summer sun. Our problem is ensuring our clients have plenty of fresh water to drink throughout the day – at least a two litres each. Conventional yacht water tanks are typically not used for drinking unless boiled in tea or coffee – plastic or metal water tanks are not completely hygienic and do little for the taste. We’re discussing options with suppliers but also appealing to anyone with intelligent solutions to this dilemma. We have supplied re-usable aluminium and plastic bottles, but this does represent additional cost (great for client branding though!) and we have to remain competitive in our field so offer this as an option rather than a standard inclusion. If anyone has ideas for a convenient solution which doesn’t involve our staff lifting 30 litre Jerry cans onto our yachts and breaking their backs, then we’d love to hear from you! In the meantime, we’ll continue to put recycling bags (bags themselves are made from recycled materials) onto the yachts and ensure what plastic we do use is put into recycling bins and NOTHING at all ever goes into the sea. ← Did you know these words & phrases have a nautical origin? !